Brierley Hill are one of the six founder member clubs when the League started all those years ago back in 1979. Records are sketchy for back then, the League was a far smaller affair than today's well-oiled machine and we don't have much detail. But what we can say is that Brierley Hill won the League in 1990. Anecdotal evidence suggests that we had fewer than ten clubs competing and the League had not gained affiliation to the County FA. From 1991, when Kevin Kovacs and David Harris were leading the way as League Secretary and Chairman, the League grew and Brierley Hill won Division Two in 1995. Brierley Hill found themselves in Division One in the 2000/1 season as a result of the League expanding to 24 clubs but were relegated the following year and have struggled since then and finished bottom in the 2007/8 year. The team is still run by founder member Ian Baker, who despite playing for nearly thirty seasons is still very effective at centre-half. Some other notable names from the past are Gary Colwell who was one of the League's best players in his day and David Oakley who represented the team for best part of twenty years. May 2009: A disappointing season resultswise for Brierley Hill, finishing second to bottom in the League. However, Brierley Hill seemed to get into the habit of losing and by the odd goal. Many a team struggled to beat them but eventually did. They did seem to enjoy their football though. I think they'd have enjoyed it a little bit more if they'd have won more matches. The drop to Division Three did Brierley Hill good. They did well and competed with some really good sides, culminating in a second place in 2011: They very nearly won it. 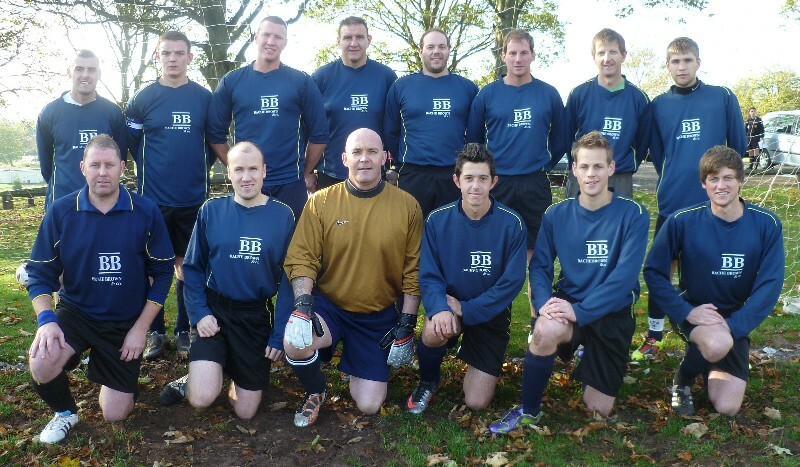 Sadly 2012 saw Brierley Hill sink back to Division Three coming bottom of Division Two.